Todays incentive is another bit of fan art that I had an itching to draw. 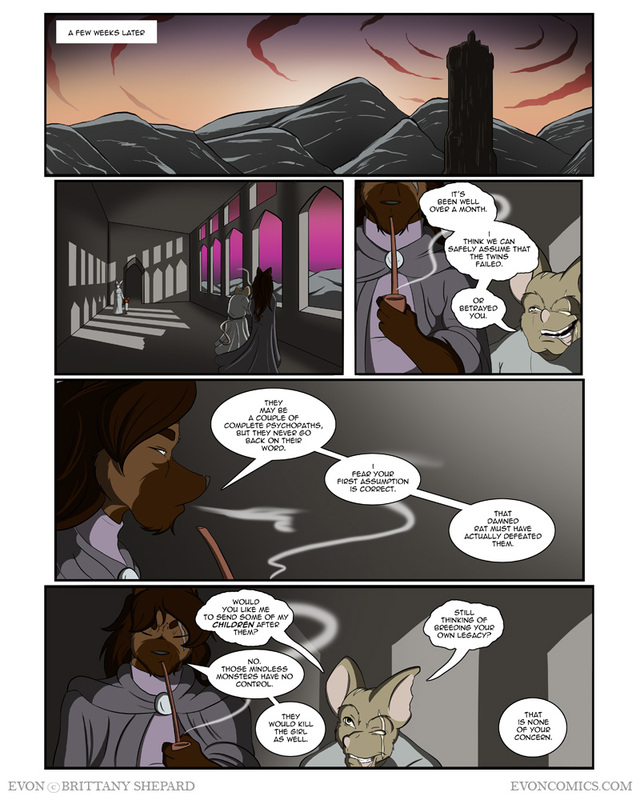 I know that I’m about ten years late, but I’ve recently come across Tom Fischbach’s TwoKinds and I got to say that that gentleman has done something awesome with that comic. It was a nice treat to flip through and witness how his writing and art has improved over time. I also learned that Mr. Fischbach and I attended the same university and live in the same city (why have I never come across him before?!) and he is pretty much the only other webcomic artist that I have heard of coming out of Cincinnati and that is certainly an inspiration. Ah, the frustrations of villians with unreliable henchmen. Love the incentive – SHINY Flora! A lil nici to calm the nerves, before a job that you just might have to do yourself.. Love how everything just flows wonderfully together! Awesome job as always! Wow, Legune gets even more screwed-up-looking with each appearance. Cut to a scene of him having Evon clones in his closet. You should do more characters packing stripes. Always looks neat, in my opinion. I saw it on her DeviantArt page. I most assuredly concur with your opinion. Miss Brittany, have you ever considered banning SotiCoto? If his criticism was constructive, I would have no problem with him. But, I don’t think I’ve EVER seen him do anything except attempt to bring you down. I don’t understand why ANYONE would complain so much about a web comic and continue to return just so he can complain some more. If I don’t like a comic, I just stop reading it.